otherwise scaring off that very likeable first date, poor gut health can manifest in seemingly unrelated symptoms like anxiety, fatigue, muscle aches, mental fog, or low immunity. That makes sense when you consider everything that goes on in your gut. It houses about 70 – 80 percent of your body’s immunity. Your gut also manufacturers about 90 percent of your feel-good neurotransmitter serotonin. Studies even show crappy gut flora can make you fat. 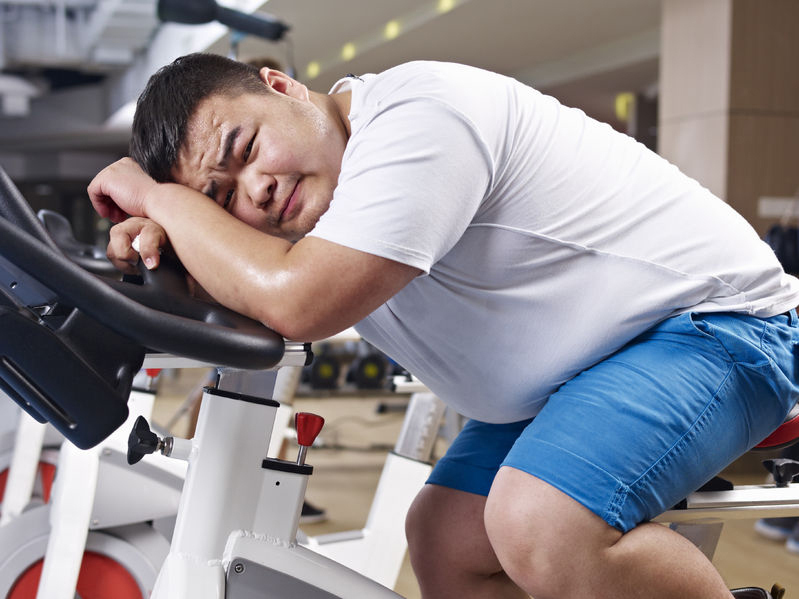 An unhappy gut might also impede your fitness goals. Bloat aside, which can definitely mess up an otherwise-killer workout, if you’re not properly digesting protein you're going to struggle with muscle mass. 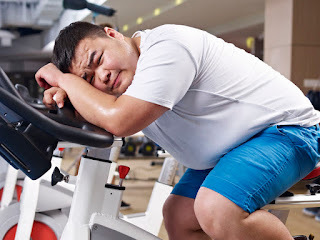 If you are exhausted and achy, you won’t be able to complete your workout. If you're training, stomach issues are the last things you want on heavy lifting days. While more advanced gut issues might require a trained professional, almost everyone can benefit from these nine tips to improve overall gut health. 1. Nix the junk. You know eating a pumpkin donut monstrosity isn’t going to make your gut feel fabulous, right? Dump the sugary, processed stuff for whole, nutrient-dense, preferably organic foods. If you suspect food intolerances, try eliminating the biggies like soy, wheat, and dairy. 2. DIY. Everyone knows eating at home becomes healthier than eating out. Enhanced nutrition aside, preparing your own food improves digestion. You salivate when you smell a delicious meal, and enzyme activation becomes the first step of the digestive process. 3. Chew Your Food: Busy lives mean we often hastily devour a Cobb salad in our car while frantically driving the LA freeway racing to meet an important 6 p.m. client. (Not that that ever happened to me…) Taking the time to sufficiently chew your food and remain mindful improves digestion and nutrient absorption. Schedule time to sit down for meals and consciously chew your food. 4. Drop acid. The standard American diet catapults heartburn, leading to antacids overuse. While they create temporary relief, frequent antacid use can raise stomach pH, making it less acidic. While lower acidity may reduce heartburn, it wreaks havoc on digestion because an acidic environment nukes problematic bacteria, breaks down protein, and helps you better absorb vitamin B12. 5. Cultivate good bugs. Healthy gut bacteria improve digestion, elimination, metabolism, mood, and immunity. Include fermented foods in your diet to help increase healthy gut bacteria. If kimchi and kombucha aren’t your style (they decidedly aren’t mine), eat Greek unsweetened yogurt with frozen blueberries several times each week. 6. Curb stress levels. "Being stressed leaves me feeling fabulous and fierce," said no one ever. Instead, chronic stress triggers gut issues, and what do we do when we’re stressed? We eat more, further fueling the gut-crashing cycle. While eliminating stress becomes impossible (at least if you live in the real world), you can lessen its impact with meditation, yoga, deep breathing, or whatever works for you. Just do it. Your gut and overall health will thank you. 7. Get good sleep. Tattoo this wherever you’ll see it: Nothing good comes from short-shifting sleep, including gut health. Even one night’s lousy sleep – we’re talking five semi-lucid hours after a lushy tequila-filled bender with your bestie – will increase inflammation and otherwise amp up gut chaos. Prioritize eight hours’ sleep every night, and if you’re struggling, these tips will help. 8. Drink up. Hydration becomes key for digestive function. Water helps move food through the digestive tract and encourages elimination. Keep a water bottle on hand and drinking filtered water throughout the day. One exception: Excessive water intake with meals can dilute digestive enzymes that help breakdown food. Otherwise, guzzle away! 9. Supplement smartly. Repairing funky gut issues sometimes means you bring in the big guns. Almost everyone benefits from digestive enzymes before meals. L-glutamine becomes a rock star amino acid to optimize gut health and way more. If you don’t eat fermented foods, a high-quality probiotic supplement can do the job. And supps like fish oil and curcumin can reduce gut-related inflammation that seriously stall athletic prowess. If you’ve struggled with gut issues, what strategy would you add here? Share yours below or on my Facebook page.